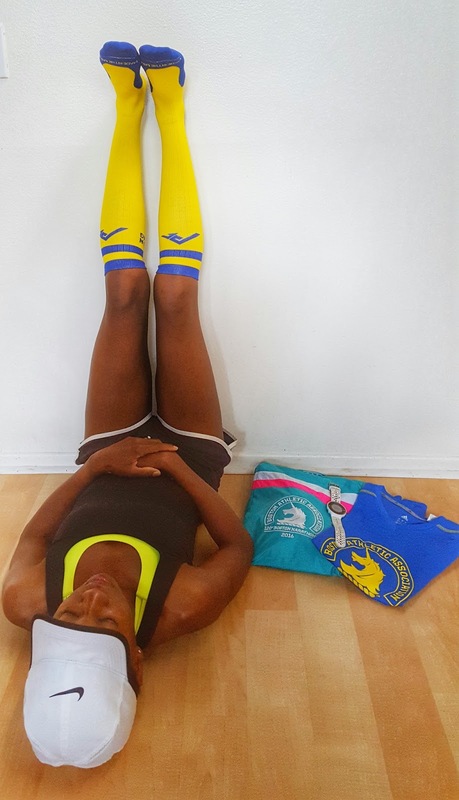 Natrunsfar: Boston Marathon Training Recap: Taper Time + 5 Days Till Race Day! Boston Marathon Training Recap: Taper Time + 5 Days Till Race Day! Well, it is finally race week. This has been such an amazing journey and I am super excited to get to Boston and put it all together for my dream race. I have worked really hard during this training cycle, and was fortunate enough to complete every workout: long runs, tempo runs, mile repeats.... if it was on the training plan, I got it done. I realize that doesn't happen every training cycle, because... life happens. So, I am taking my family (Jerold, 3 kids and my Mom!) and we are heading to Boston very soon. I feel so blessed that they will be with me, giving me tons of love and support. My son Josh is beyond excited to fly to Boston. The other night we sat in bed and looked at the map and I showed him exactly where Boston is (he has been through Boston before on our family vacations to Nantucket, but it'll be the kids' first trip to the city) - almost 3,000 miles on the other side of the country. For Josh, going on a trip is like Christmas and his birthday all rolled into one huge present. My kids are so excited to cheer for Mommy on Monday - it's pretty much all we talk about these days. I really hope they remember this trip and remember the moment their Mommy crosses the finish line, and maybe someday they'll want to do the same thing. I have heard that the crowds are incredible, there are people lining every inch of the course - that in itself is unreal. There are always parts in a marathon, where there is practically no one around. It is you, the road and the other runners around you. It's usually kind of quiet and you have to work hard and focus to get through it, until the next crowd of people or the next band (I love hearing the bands). I can't wait to experience over 500,000 people lined along the course cheering their hearts out. For all the runners pounding away out there, that will be something really special. Here is a peek of what my week of training looked like for last week and part of this taper week. Monday April 4th - 6 easy trail miles with a friend. Such a fun and beautiful run and friends always make it special. The rest of the week will be super easy with lots of rest, stretching and hydrating. Monday April 18th - BOSTON MARATHON! !